These instructions will walk you through updating the firmware on your RingPatrol device. If you haven’t already, download the latest firmware file to your phone before starting this procedure. Step 1: In the RingPatrol app, select the device that you would like to update. 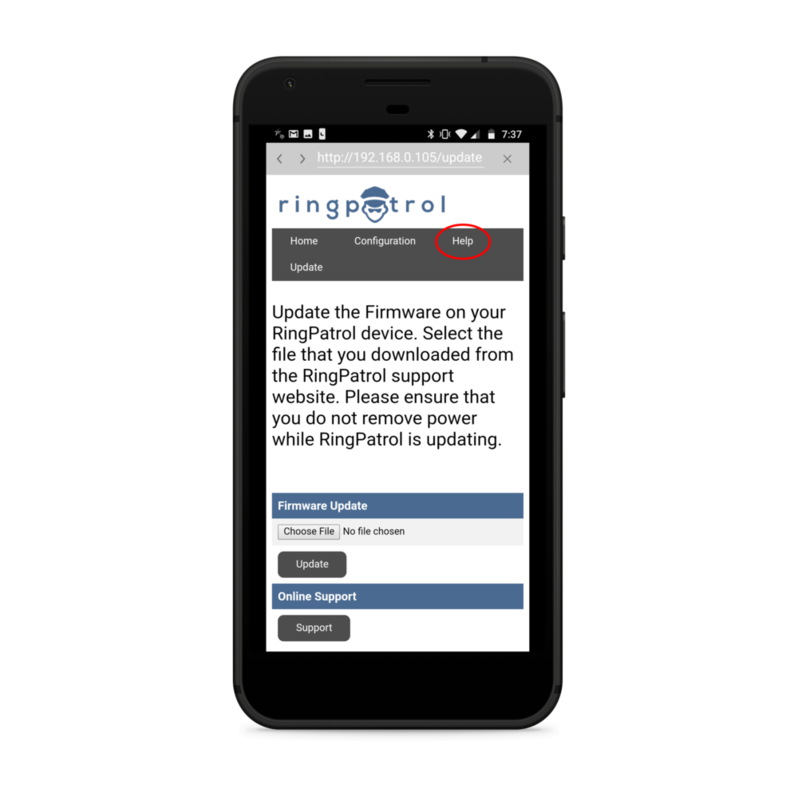 Step 4: Choose the firmware file that you downloaded from the RingPatrol support site. Once that is complete, select “Update”. Step 5: When RingPatrol reboots, select the “Help” link. Step 6: Check that the firmware version is up to date.